Gernot Klepper and Sonja Peterson propose that the G20 countries should coordinate their climate policies and in particular extend and harmonize carbon pricing, provide carbon finance for less developed countries, and offer a positive climate for investments into the decarbonization of the energy sectors. In the Communiqué from the last G20 Summit in Antalya, 15-16 November 2016, the G20 Leaders’ stress that climate change is one of the greatest challenges of our time and reaffirm the 2°C goal. To reach this target the latest report of the Intergovernmental Panel on Climate Change (IPCC) stresses that from a technology side Carbon Capture and Storage (CCS) and bioenergy need to play an important role and that from a policy side carbon pricing is needed. The Paris climate agreement at the 21st session of the Conference of the Parties (COP21) to the United Nations Framework Convention on Climate change (UNFCC) in December 2015 established a system of national pledges (National Determined Contributions – NDCs) that will be monitored and reviewed. For this system to lead to the 2°C target it is decisive that the national pledges will be ambitious and that the promised measures for achieving the necessary reduction in greenhouse gas (GHG) emissions are actually implemented. This can only be assured through a robust and transparent accounting and monitoring system. The G20 countries account for more than three quarters of the global GHG emissions. It is thus clear that the G20 countries are predestined to take the lead in moving the Paris agreement towards ratification, in promoting a thorough monitoring system, but also in leading the activities in decarbonizing their economies. The G20 should countries quickly ratify the Paris agreement, so that it can formally come into force which requires that 55 States representing 55% of global GHG emissions have ratified it. Such a commitment of the major emitting countries should quickly induce other countries to join G20 in ratifying the agreement. The G20 countries should engage in setting up a comprehensive monitoring and reporting system for GHG emissionsfor the activities and policies for decarbonizing the economies of the parties to the agreement and for verifying their NDCs. This also includes support to countries which have not the appropriate resources for implementing such a monitoring system and for developing an effective set of NDCs. Even though the urgency of phasing out fossil fuel subsidies – which is an explicit G20 target since September 2009 – is at current low fossil fuel prices less urgent, the missing progress in this target is not acceptable. 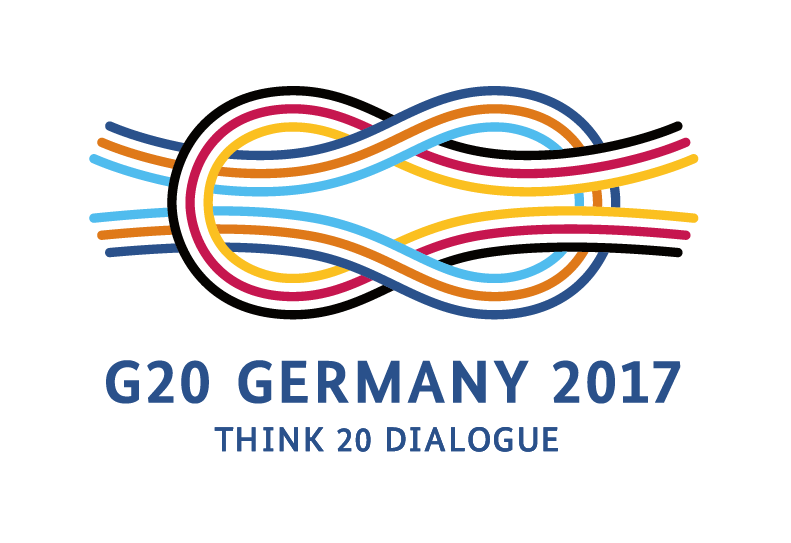 G20 countries should follow the recommendations of e.g. the Overseas Development Institute and Oil Change International (Bast et al. 2015) which in particular recommend adopting strict timelines for the phase out of fossil fuel production subsidies. The start could be to eliminate all subsidies to exploration and coal by 2020. The G20 countries should provide an adequate amount of carbon finance. In the Copenhagen negotiations in 2009 developed countries promised to deliver $100 billion a year by 2020. This promise was formalized in Cancun in 2010. The Paris agreement is unfortunately a step back. It is not clear which countries (Parties) are delivering how much1 , and when. It only says that the “mobilization of climate finance should rise above past efforts”, hopefully towards the promised $ 100 billion. Since almost all developed countries are part of the G20, the G20 countries at a whole should commit to provide at least $100 billion per year. The G20 should develop mechanisms which provide more security for investments in climate friendly energy supplies: Many climate mitigation activities such as wind and solar power or Carbon Capture and Sequestration (CCS) require large up-front investments and provide carbon free energy at low marginal cost for a long time. Such investment becomes a business case only if there are stable expectations for economic returns which fundamentally depend on the development of carbon prices. The central recommendation that is discussed in more detail below is that the G20 should – as a group – start a voluntary cooperation which leads to a system of carbon pricing which covers a maximum of G20 GHG emissions and does so at harmonized prices. Carbon prices can easily be compared across countries, which is not the case for many other policies and measures. The G20 countries account for around 85% of world GDP, and a little less than 80% of world trade. A convergence of carbon prices within the G20 can reduce carbon leakage and negative competitiveness effects that are associated with sub global climate policies. The negative competitiveness effects of a coordinated G20 carbon pricing system can thus expected to be small. Carbon pricing can generate revenue that can be used for several purposes (related to climate change such as mitigation and adaptation measures, more general sustainability issues, but also for unrelated government objectives). If G20 countries were to start with pricing 50% of their CO2 emissions at a level of $10 per tCO2. This would result in revenue of roughly $ 130 billion p.a. – thus raising sufficient funds for the climate finance called for above. Carbon pricing is not a new instrument to the G20 countries. Out of the 39 carbon pricing instruments listed in the latest World Bank report 33 are in G20 countries (the remaining 6 are in Switzerland, Iceland, New Zealand, Chile and Kazakhstan). These cover around 6.5 GtCO2e or 11% of global GHG emissions and almost 20% of G20 GHG emissions. Out of the G20 members 12 already have some kind of carbon pricing on a national or subnational level (Canada, China, Germany, France, Italy, UK, European Union, Japan, Korea, Mexico, South Africa, USA) while 8 have not (Argentina, Australia, Brazil, India, Indonesia, Russia, S. Arabia, Turkey). Emission trading is clearly dominating, it is present in all the 12 G20 regions with carbon pricing except Mexico and South Africa. Additional carbon taxes are present especially in several European countries. The most important latest development is that China, which already started seven emissions trading schemes in large urban areas, has decided to start a nation-wide ETS in 2017. This would replace the EU-ETS as the world wide largest emission trading scheme. Furthermore, the implementation of a national ETS is considered by Mexico (in addition to the existing Mexican carbon tax), Brazil, Turkey and Japan. On a subnational scale, the Canadian province of Ontario as well as the US states Oregon and Washington plan to launch an ETS. Carbon prices in the G20 countries currently range from 1 USD/tCO2e (lower carbon tax in Mexico) and 130 USD/tCO2e (Sweden carbon tax). The price in the EU-ETS – the largest current carbon pricing system is stagnating at a low level of 5-6 €/tCO2. The G20 can thus build on their existing experience and extern and harmonize carbon pricing in their economies. The G20 should define a timeline for covering basically all CO2 emission sources of CO2 by a carbon pricing system. The target could e.g. be to cover 50% of emissions (as is already the case with the EU – ETS) by 2030 and 90% of emissions by 2050. Mechanisms for including other GHGs should be developed such that a common market for all GHGs can be implemented thus providing a level playing field for all GHG emissions and mitigation options. In this context, it is important to especially regulate the transport sector that will represent an increasing share of GHG emissions. G20 should promote specific policies for enabling the transport sector to reduce emissions significantly. Besides carbon pricing, measures such as incentives for alternative modes of (public) transport and appropriate infrastructure investments should be accompanied by policies for reducing emission factors of transport equipment. The G20 countries should agree on a minimum level of the carbon price that should grow over time. The starting carbon could e.g. be set at $10 / tCO2e and rise by at last 1$ per year until 2050 providing the necessary investment security for renewable energy sources and CCS activities. The G20 should aim for a harmonization of rules in their regional, national or subnational emissions trading system to foster a linking of different systems. If e.g. the EU-ETS would be formally linked to the planned Chinese ETS this would not only increase the overall efficiency of reaching the EU and Chinese emission targets but also boost further linking. ¹ Developed countries justified the omission by the fact that including binding targets would have made it necessary for the U.S: Senate to ratify the Agreement. ² For example, the so-called young business and financial leader of the G20 countries called for an introduction of a price on carbon in all significant emitting countries that would be eventually linked at the global level in their final communiqué of their summit in France, August 7, 2015. Averchenkova, Alina & Samuela Bassi (2016). Beyond the targets: assessing the political credibility of pledges for the Paris Agreement. Policy Brief. Grantham Research Institute on Climate Change and the Environment/Centre for Climate Change Economics and Policy. Bast, Eliszabeth, Alex Doukas, Sam Prickard, Laurie van der Burg and Shelagh Whitley (2015). Empty promises. G20 subsidies to oil, gas and coal production. Report by the Overseas Development Institute (ODI) and Oil Change International (OCI), November 2015. Edenhofer, Ottmar, Christina Flachsland & Ulrike Kornek (2016). Der Grundriss für ein neues Klimaregime. Ifo-Schnelldienst 69(3): 11-15. McKay, David, Peter Crampton, Axel Ockenfels & Steven Stoft (2015) Price Carbon – I will if you will. Nature 526:315-316. Worldbank (2015). State and Trends of Carbon Pricing.